I can’t get enough of this song: Spun by Grouplove. It’ll make you dance. Beware. I can’t get enough sunshine. I keep reading books in the backyard. I have a v-neck sunburn line, but to me it’s tan? And I can’t get enough chocolate chip cookie remixes in my life either. They are the comfort food of the cookie world. They taste like home, and sometimes you just need to taste that, right? These guys are bird nesty as in there is coconut that gets toasty in the oven and pretty little Cadbury Mini Eggs scattered on top. Seriously, those little eggs make me so happy. They’re my favorite. 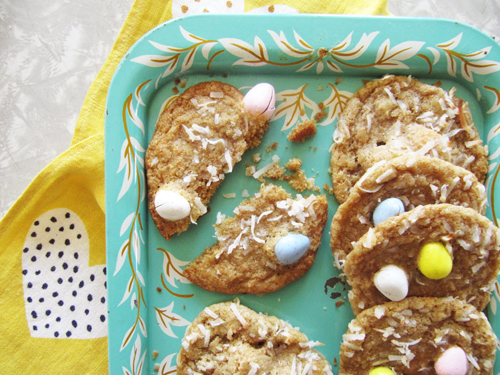 So if you’re in need of some homey Easter-ish cookies in your life these are the ones for you. Basically, they make me so thankful that coconut and chocolate exist. Those two are the best. Beat together the cold cubed butter and the sugars with an electric mixer on low until just combined, about 2 minutes. Add the eggs one at a time, beating until mixed in. Mix in the vanilla. In a separate bowl, whisk together the flours, baking powder, baking soda, and salt. Add the flour mixture to the buttery goodness and beat until combined. Scoop heaping teaspoons of dough into the coconut and roll around to coat. 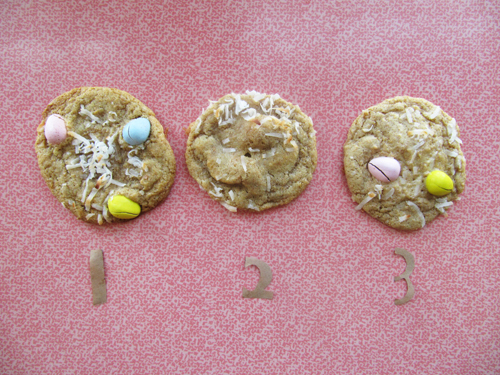 Press 2-3 mini eggs into the dough and place on the prepared baking sheets. Bake for 12-14 minutes or until lightly golden around the edges and set in the center. Cool on a wire rack. I tried three different methods with the coconut/egg combo. I pressed coconut and chocolate eggs into the surface. 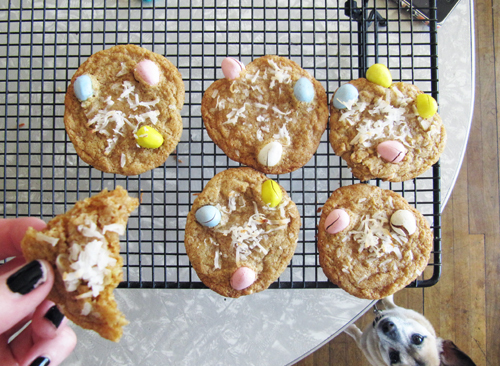 I placed 2 chocolate eggs in the center of the dough and rolled it in coconut. I rolled the dough in coconut and pressed 2 eggs into it. 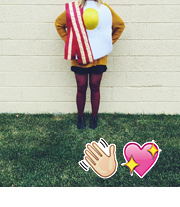 All around, I liked the third way best because less eggs jumped ship. But, feel free to mix eggs and coconut in the dough straight up. That’d be super-good! These make me happy. Spring! Cookies! Love!! 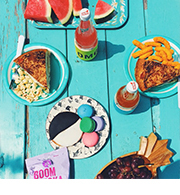 And I love that they taste like ‘home’ to you…oh yeah! 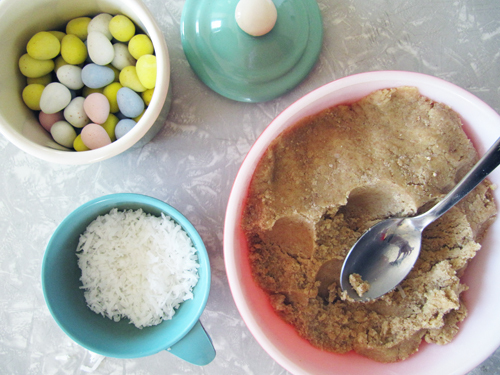 Dads chocolate chip cookie dough that is kicked up a notch for Easter!! They’re homey, homey. Oh! I have an idea about cookies that I have to tell you! No offense to anyone enjoying whole wheat, but could I just use regular flour? Also, what is the difference between “all purpose” flour, and pastry flour? Is there a way to use one type of flour for the recipe? Hey Kat, Whole wheat pastry flour is the whole wheat version of all-purpose, but you can easily just use all-purpose if you want. So yeah! Feel free to make this recipe with all-purpose instead of whole wheat. It’ll be tasty! these are so cute! coconut just makes the best nest for those eggs. If I was a bird, I’d totally have a coconut nest. I have an insane weakness for Mini Eggs. Best seasonal candy ever. They are so pretty with the coconut! 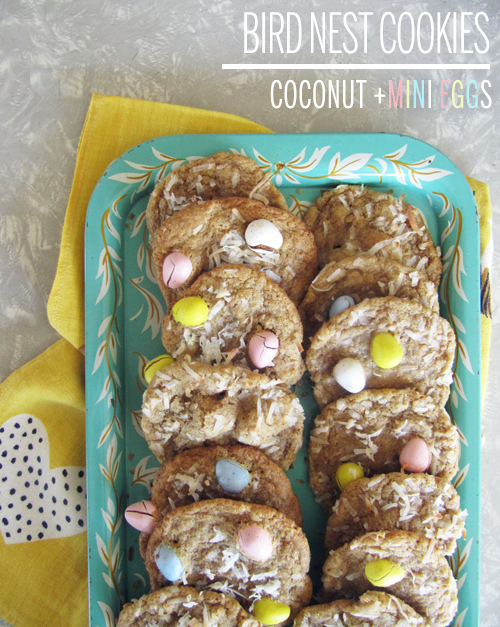 Mini Eggs baked into a cookie?! Holy amazing! !! They’re just the best candy, I think!